Established in 2012, the Susan Weiskittle Barrick Endowment for Leadership Enrichment creates a unique opportunity—through speakers and other special programming—to expand the leadership development of participants beyond the classroom, work and home. 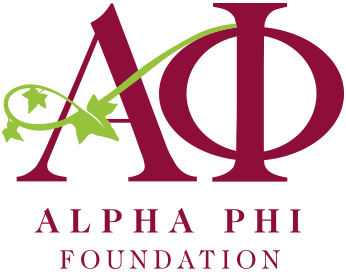 This endowment is designed to connect, educate and inspire Alpha Phi women of all ages and backgrounds by providing engaging and unique experiences that fuel ideas, productivity and achievement. Annual grant(s) are awarded each fiscal year. Grants of up to $5,000 are available. The full amount may be granted to one chapter or divided among several applicants to assist in leadership development programs. Programs focused solely on improving one’s membership experience, chapter operations, or the fraternal community with no educational content that will be applied outside of Alpha Phi or the fraternity/sorority experience. Applications will be accepted and considered on a rolling basis throughout each fiscal year (July-June). For more information, email foundationprograms@alphaphi.org. “I was inspired to become a donor to Alpha Phi Foundation after having the privilege of attending Emerging Leaders Institute. Getting to meet alumnae at ELI who were committed to assisting us inspired me to look at all I can do to donate, support, and volunteer for the the Foundation. 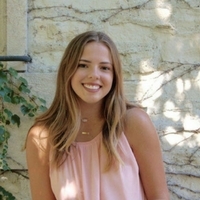 “ELI reemphasized what it means to be a member of Alpha Phi, and reminded me of why I want to be a steward for the Eta Mu chapter at Marquette University. 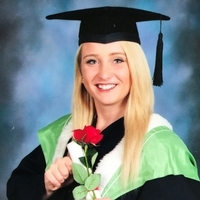 “Within days of moving to Melbourne, Australia, I got a call for a secondary math and science position. A year ago, I would’ve been terrified to walk into an interview. Leadership Fellows taught me exactly how to carry myself, give the perfect handshake, and make a great first impression. Within minutes of leaving my interview, I got a call from the Principal saying that if I was willing to accept the position immediately (which I did! ), he was going to cancel all further interviews they planned.